Is the Laser Harp generating the Sound by braking the Laser or changes it the Sound by moving the hand up and down? HHMC™: What's that and how does it work? With what default accessories is a Laser Harp delivered? I live in U.S. and I'm wondering if I can use the power we have here. Do you give a Power Cable together with the Laser Harps? What type of laser would you suggest? I didn't understand what is amplitude and how it is programmable. Do I need to use it only in darkness? What happens when light from the stage like moving head comes to the sensor? Where do I need to put the sensor? What is the Anti-Tilt system? What is a Laser Harp with an Embedded Laser Projector? What is ad ILDA Controller? With an ILDA Controller, do I need a Laser Projector? Do I need mirrors and special set up to install your ILDA Controller Laser Harp Generator? May a Laser Harp be used also by my kids? What is the best device to be used with a Laser Harp and why? and you learn much quicker than ever! 1. 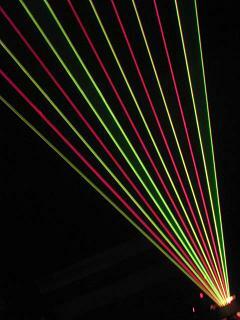 Q: Is the Laser Harp generating the Sound by braking the Laser or changes it the Sound by moving the hand up and down? A: The Laser Harp follows the Harp principle. A string of an acoustic harp sounds when it's plucked by a finger, then it starts to vibrate and consequently it generates sound. So that when in a Laser Harp you brake the laser beam that corresponds to a note, it will generates that note. 2. Q: HHMC™: What's that and how does it work? The unique feature of the Laser Harp you buy from us, is that you can even have more than one octave at the same time, playing vertically! 3. Q: With what default accessories is a Laser Harp delivered? Warranty documentation. To activate the warranty just CLICK HERE and fill in the form. 4. Q: I live in U.S. and I'm wondering if I can use the power we have here. 5. Q: Do you give a Power Cable together with the Laser Harps? 6. Q: What type of laser would you suggest? A: It depends in what environment you will use it and what is the effect you would like to have. 7. Q: I didn't understand what is amplitude and how it is programmable. A: The amplitude is the span of the Laser's fan, and it's measured considering the distance between the external beams of the fan. It's more proper to talk about Fan-Width. It's possible to adjust it electronically, just simply using the commands on all the Laser Harps. Please have a look of the picture here below, with the example of little amplitude (left side) and Big amplitude (right side). Click over it please, a new window will be open with the big detailed picture on it. 8. Q: Do I need to use it only in darkness? 9. Q: What happens when light from the stage like moving head comes to the sensor? A: Nothing happens, if the Laser Harp is using the UltraSENSOR™. With the KL-450 BASIC: if it is not retrofitted: it's better to avoid this condition, Just do not point the lights over the sensor.if they are retrofitted: nothing happens.Please: watch the video on our website. As you can notice, people are not working in full darkness. Several clients are using the Laser Harp since months in Theater/Musical Spectacle. Their harps are not retrofitted but they still working without issues. Just they ideally adapt the conditions. 10. Q: Where do I need to put the sensor? 11. Q: What is the Anti-Tilt system? A: It is a system that protects the eyes of the public from accidental direct contact with the laser beams. In case the Laser Harp is accidentally or on purpose tilted too much toward the public, the system switches the Laser Harp off. Laser beams (from any source of any Brand!!!) should NEVER be pointed toward any eye, of anybody!! We hope that's quite clear, but we wanted to protect from incidents. 12. Q: What is a Laser Harp with an Embedded Laser Projector? A: It is a Laser Harp which doesn't require any external projector to work with. Everything is built in. Included the scanner and the optical system. You don't need anything more than the Laser Harp itself to play your music. 13. Q: What is ad ILDA Controller? 14. Q: With an ILDA Controller, do I need a Laser Projector? A: If you have not yet one: yes. We have some in our catalog to propose you. And if you have an ILDA Laser Projector you can use it with our Controllers. 15. Q: Do I need mirrors and special set up to install your ILDA Controller Laser Harp Generator? A: With our laser projectors: no. 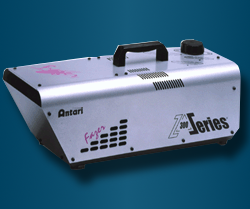 We provide you laser projectors built for the laser harp purpose. Thus you don't need mirrors or set-up or placements or other. just connect the cables, switch our Laser Harp on and play. 16. Q: May a Laser Harp be used also by my kids? A: NO! Laser Harps are not toys. At least not the ones we craft! Laser Beams are dangerous and they must be threaten with care. Thus no kids, not pets/animals in general, not handicap carrier persons, around your Harp! (for these last ones, please evaluate the type of handicap, obviously!) Whatever you read in internet, if somebody is telling you the opposite, he's only an irresponsible without the necessary required degree of maturity. Laser beams, due their physical nature, are not visible whatever the power used. To make them clearly visible, as you see in our pictures or in the very known pictures/video of Jean Michel Jarre, it’s necessary to have something that spreads the coherent light in all directions. In order to have this effects, people is using a Smoke Machine. That’s good solution for very cheap occasions. The advantage of a smoke machine is its price: quite low, for home purposes. A smoke machine, warms up a mixture of distilled water and glycerin, till the boiling point. Then an electromagnet opens a valve and a puff of smoke is spread in the surrounded atmosphere. This mechanism is not the ideal with laser beams because, the puff of smoke is several times so intense, that for a while hides the lasers. This occurs independently from their power. Moreover, the starting-point of the electromagnet can cause several problems if a device is shortly connected to the same power line. In order to avoid this phenomena, a Hazer is much more indicated for that use. The Hazer is based on a different fluid that stays longer in the air. The principle of working of a Hazer is also different from the one of a smoke machine. The liquid of a Hazer, is generally warmed by ultrasounds up. The smoke generated, is continuously released in atmosphere, without the intervention of an electromagnet, in minor quantity rather than the normal smoke, consuming less liquid and less energy, and avoiding hiding puffs. The particles of a Hazer’s smoke are 100 times littler than the ones of the normal smoke. That’s why is called “Haze”. As results, it lies a longer time in the air, it means that it doesn’t collapse to the ground so rapidly as the smoke does. The particles of Haze are so tiny that the necessary quantity to reveal the laser beams, is almost no visible by human eyes. In conclusion, the greatest effect is obtained by a Hazer. The cost is slightly higher than a smoke machine, but the effect is 100 times greater than the one generated by a smoke machine. That’s why Kromalaser suggests you Hazers rather than Smoke Machines. KROMALASER Laser harp, combines two lasers of different colors: RED and GREEN! Diatonic and chromatic notes are laid out vertically as you would normally found them on a piano keyboard. Isn’t that easy? With KROMALASER Laser harp you can also choose the classic Jean Michel Jarre’s monochromatic style Laser Harp. (all green Laser Beams) by simply pressing a pedal on the included footswitch-board. RED beams are for chromatic notes (C#, D#, F#, G#, A# or Do# through La#). In this picture, amazing dual-color beams from a laser harp KROMALASER KL-KONTROL. Light beams span is wide enough to let you play one clear note with your hand and touch no other light strings when operating in the 1.5-2 m range from ground (approx. 5-6’7″). A dream come true! Introducing the laser harps based on color ILDA controllers family that add the power of polychrome light to your music. DJ set or musician in a gig, change settings during your performance, and add the warmth of changing light while playing your laser harp. No need to say, diatonic and chromatic notes will always be there! The lightweight yet rugged of the ILDA Controllers box makes it an outstanding professional device for concerts. A great variety of effects is now possible, not only using the three fundamental colors, but also mixing them together, obtaining all the color of the visible spectrum. Using this instrument, your concert will be enhanced in a real laser Show, something unexpected from your public, something that will add a plus value in your performances. Also HHMC (Height Hand Modulation Configuration™ ) which enables you to modulate the sound by moving your hands up and down on the laser beams and you can even change Octaves just positioning your hands at different heights!! Unique in the World and moreover: First in the World!! Plug a ILDA Laser Controller in your ILDA Laser Projector, and Play. Enjoy!